Gearbox has officially announced the worldwide release date for Borderlands 3. 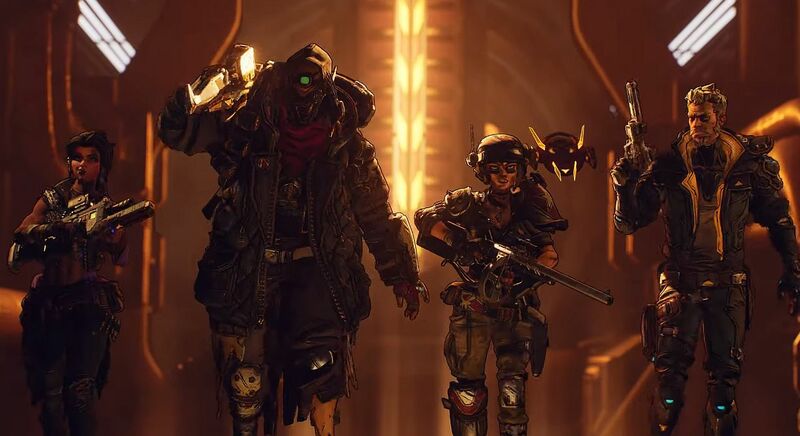 As one of this week’s Borderlands 3 leaks suggested, the game is indeed out in September. Borderlands 3 will be available on September 13 for PS4, Xbox One, and PC exclusively through the Epic Store. The PC version will see release on “other storefronts” in April 2020. Gearbox also revealed a few other details we’ve been speculating about since watching the reveal trailer. For instance, the main villains are the Calypso Twins, who are on a quest to unite the bandit clans. Moze, Amara, FL4K, and Zane are the four new Vault Hunters. As expected, each character is also a distinct class with a unique playstyle, and skills. Moze is the Gunner, capable of calling in a mech called Iron Bear. The Siren this time around is Amara, whose powers include ethereal fists – as seen in the trailer. FL4K, and Zane are potentially the two most interesting. FL4K is a new Beastmaster class that can tame wild beasts and utilise them in combat. Zane is an Operative – basically Borderlands’ version of Batman. As such, he relies heavily on gadgets and sneak attacks. Borderlands’ seamless co-op returns, with a big upgrade in Borderlands 3. The game will automatically scale enemies up/down to each player’s level. In other words, anyone can join anyone’s game regardless of their level or mission progress. As you may have already guessed, Borderlands 3’s environments will be the most varied thanks to a story that takes Vault Hunters to many different locations outside of Pandora.